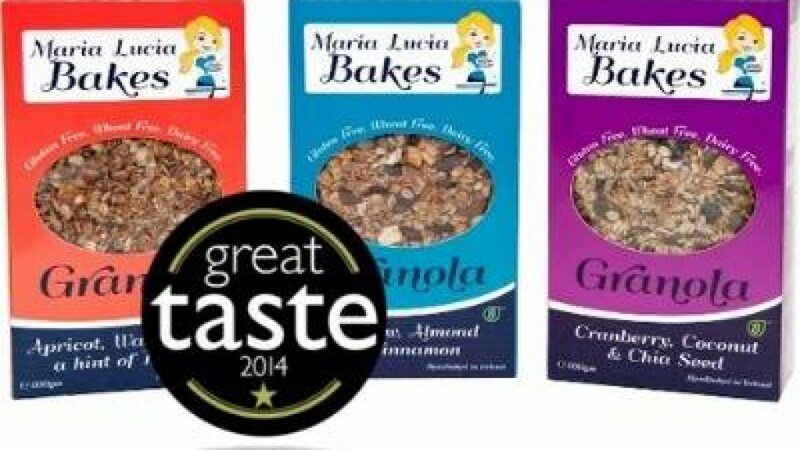 Maria Lucia Bakes is a healthy, luxurious Breakfast Granola that is Handbaked in Ireland. it is also certified Gluten Free as well s being wheat free, dairy free and high in fibre. This beautiful Granola is great as a breakfast with milk or indeed as a healthy snack when served along with Natural Yoghurt. The Granola comes in three wonderful flavour combinations: Apricot, Walnut and Treacle; Cashew, Almond and Cinnamon; Cranberry, Coconut and Chia Seed. Check out the link to their website to find a stockist near you.